It’s pretty easy to write a script for movies today. 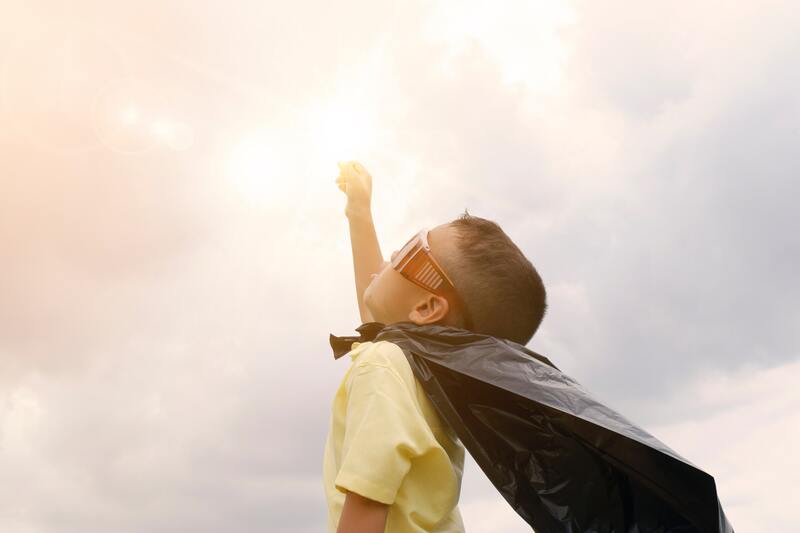 Establish a villain early, spend some time developing star characters, set a course for the plot, add in some tensions in key relationships… but by ALL means give the hero or heroine superpowers to combat evil! Why do these movies with very predictable story lines make hundreds of millions of dollars at the box offices? Why do they attract people like magnets? How about this for a possible answer: people want power! We dream of being able to do things we can’t currently do. In our everyday lives, there are just too many things we are powerless to deal with. Oh, to have real and tangible power. So we live out our fantasies via the big screen. Add to that dynamic the low-lingering fear of being not all we can or should be. If we only had power. But where to get it? It’s kind of funny that more people don’t take the Lord’s offer of power more seriously. For one thing, He is the only one Who has it to give! And for another, He wants to give it away. Jesus said we would “receive power” (“dunamis” in Greek) “after the Holy Spirit comes upon you.” Power to move mountains! Superman power. This divine power wouldn’t think mountain-moving difficult at all. At the latest count the University of Nottingham in England now believes we need to increase tenfold our previous ideas of the size of the universe…from 200 billion galaxies to 2 TRILLION galaxies! All spoken into existence by God simply speaking. Just by God’s word. So, this divine creative power is available to us, again at the command of the Creator. What evil shall be defeated in this story line? Monsters? Supervillains? No, something much bigger and scarier…our rebellious human heart. This evil has knocked me around for quite a while now. I certainly have tried to fight back, but I can’t claim any victories. I must cooperate with the Source of the power, Who apparently has one condition before the power is unleashed—the human heart must be surrendered to Him. Free will, God’s great gamble in giving His created beings like us options as to whom we will serve, has the incredible ability to block the power of God in us. We remain mere mortals with no super powers should we refuse to cooperate with our heavenly Father. I am waiting for a movie script where the hero takes on the greatest evil he has to face, his own sinful heart, and uses superpowers to win. That’s the story line I want for myself. It’s the story line God wants to write for me, too. All other powers aren’t so super.